Travel in and out of Puerto Cabello and you’ll pass in front of the local Airport and the Naval Base next door. 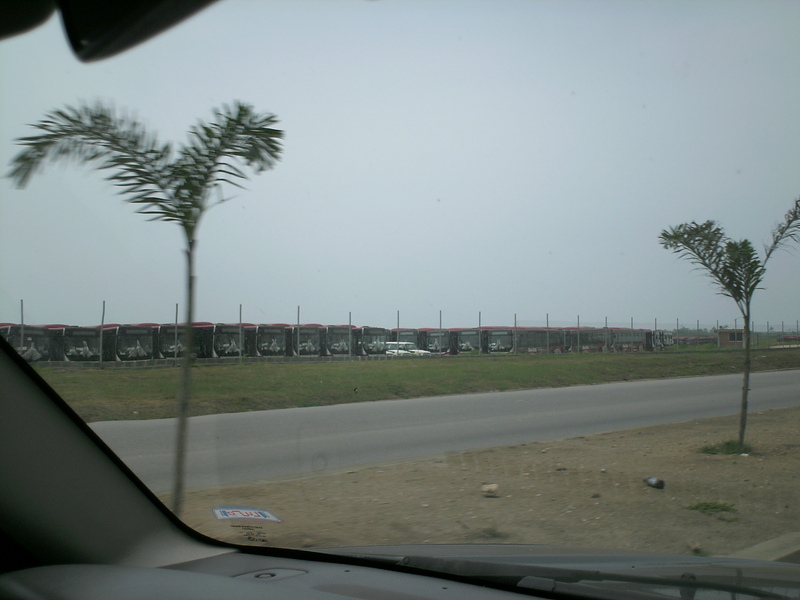 In recent months, you’ll have noticed something new: a huge concentration of buses, as far as the eye can see. And they’re not the typical buses you can see in our cities and towns, either. This is no ordinary bus: it’s made by the Yutong Group to be used in a bus rapid transit project called BusCaracas. Inspired by Curitiba’s RIT and Bogota’s Transmilenio, the project was envisioned to aliviate the traffic problems of the capital. Instead, it has been marked by constant delays and revisions. In 2008, the construction work on BusCaracas started with delivery promised 18 months later. A year later, the entire project was halted and the contracts with the companies involved were terminated. The national government took over, changing the plans and demolishing what had been built so far. Chavez himself admitted the failure, putting some blame on then Caracas Mayor Freddy Bernal. The promise was to have it ready in 2010. It didn’t happen. Same thing with 2011. The first buses started to arrive in May of this year. The only thing that is somewhat ready is the automatic door system. 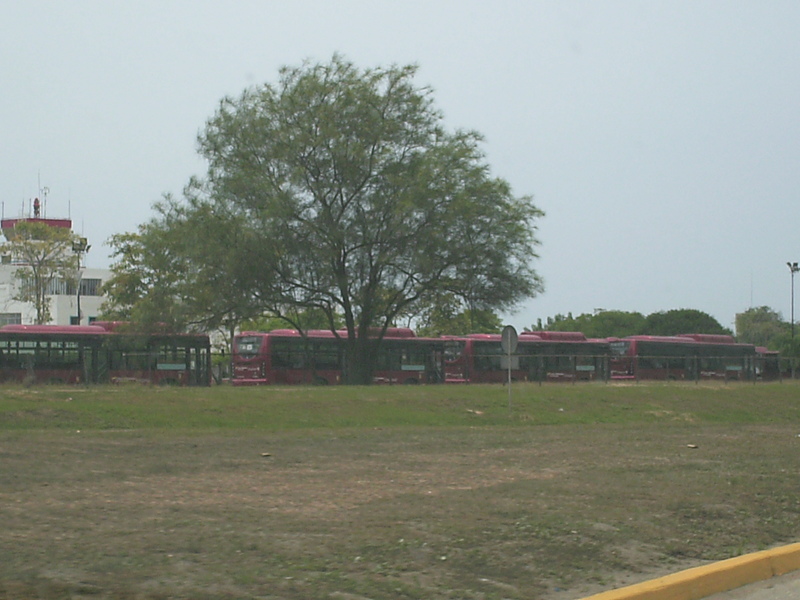 While most of the buses await on the Carabobo coast, the entire cost of BusCaracas has skyrocketed to $19 million and counting. Neither former mayor Bernal (today a PSUV deputy) or current mayor Jorge Rodriguez (too busy right now as head of Chavez’s reelection campaign) have been held accountable. Even if there’s no exact date for the full activation of BusCaracas, local bus drivers are worried that the project could take their jobs away. The possibility of a partnership is unlikely, even if some of them are interested in joining in. It’s curious that at the same time TransMetropoli, the other public transportation system in Caracas is considered a success and its model could be taken into other parts of Venezuela.